The team behind the high-concept horror thriller may take inspiration from Cloverfield. Paramount is moving forward with plans for a sequel to A Quiet Place, but fans of the John Krasinski original could be in for a surprise. 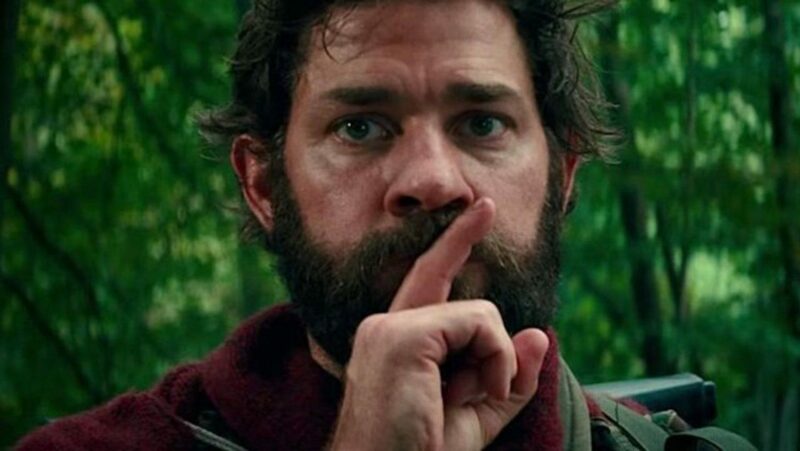 A Quiet Place earned rave reviews on release and has already banked $213 million worldwide at the box office off a budget of just $17 million. Directed by Krasinski and starring Emily Blunt, the film depicts a future where humans live in near-silence, hiding from blind monsters with super-sensitive hearing that hunt few of them still left alive. Based on a script from Bryan Woods and Scott Beck the film was praised for its fresh, suspenseful take on the horror genre and was always likely to spawn more sequels. Krasinski outlined a rough idea of what any sequel would likely entail when loaded caught up with him ahead of the release of the film. “I imagine a sequel would look at another group of people and how they are dealing with these monsters in a completely differently setting,” Krasinski said. Those comments indicate A Quiet Place 2 could well take a similar path to the one trodden by Cloverfield, which has so far had two sequels based in the same universe but dealing with entirely unconnected characters. Blunt made no secret of the fact that she would most likely not return if her husband was not involved. “It would depend on John,” she told loaded. “If he wanted to make another one I would definitely consider it.” In the meantime, Blunt is gearing up to star in the reboot of Mary Poppins. The news will come as a blow to fans of Krasinski and Blunt in the original but could open up an unlimited amount of possibilities for the future of the franchise.